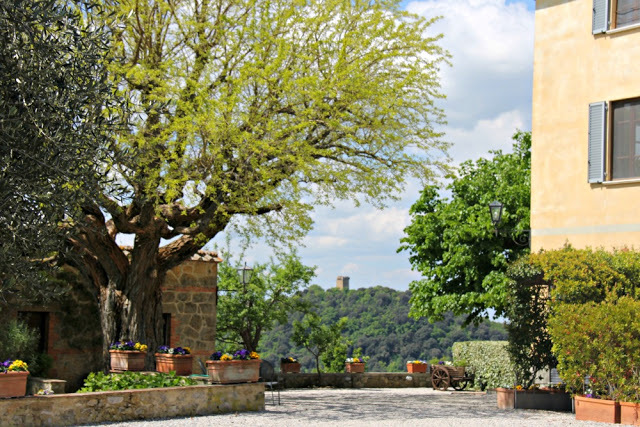 Terre di Nano, Monticchiello, an agriturismo near Montepulciano. 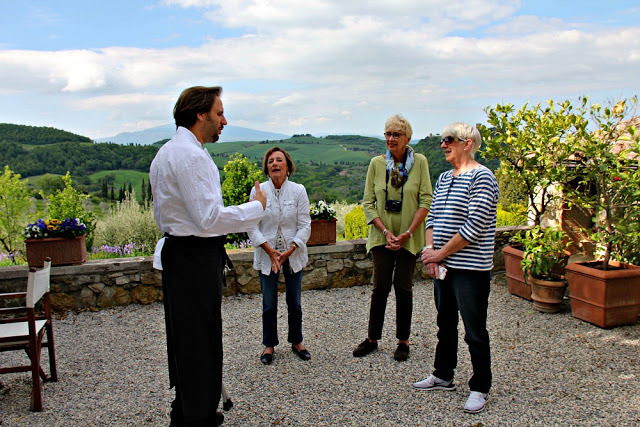 Giorgio, chef and manager, with Mimi, Ginny and Phyllis, explaining some of the history of the region and the agriturismo. Mimi paying close attention to how to cook the potatoes for gnocci. 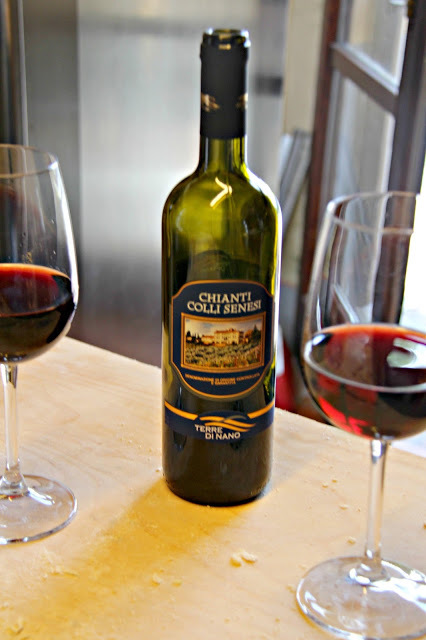 Three bottles of wine between the four of us helped make cooking class fun. 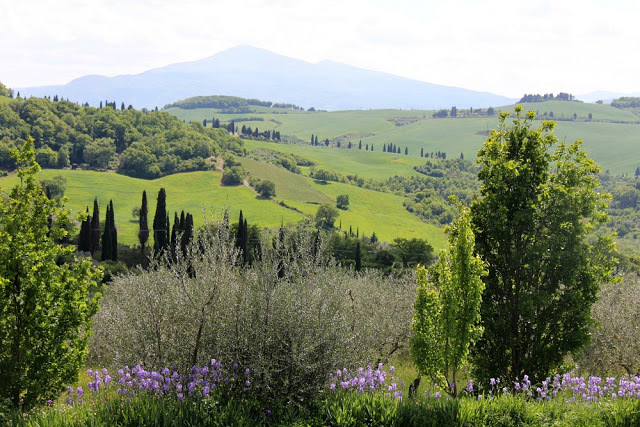 A view to Montepulciano in the distance. View of the vulcan from the terrace. 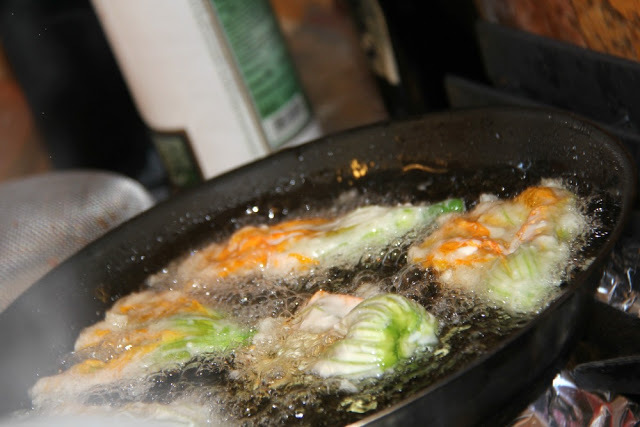 Squash blossoms almost ready for frying. 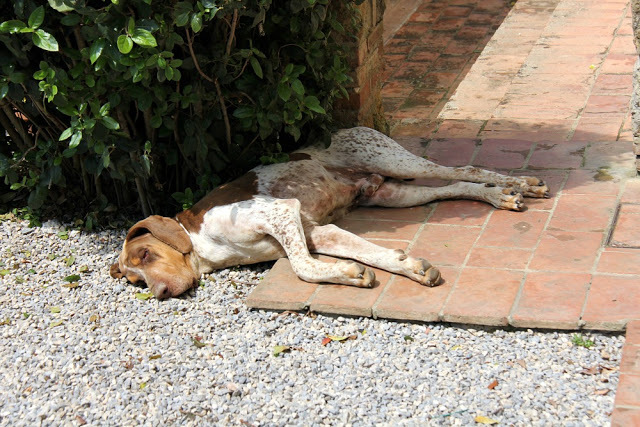 I so envied the hounds; the napping part....not the lying in gravel part. Tomato sauce, homemade from tomatoes from on the property. Add olive oil, of course. Dawg gone, what are these people doing here? Of course a splash of wine makes everything better. 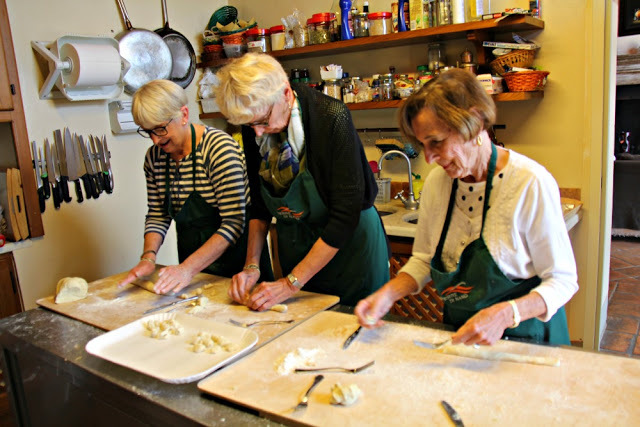 We had lots of fun, but probably flunked the cooking class. Good thing we weren't graded!